Boasting a spectacular natural environment, some of the world’s most fantastic cuisine, an enduring culture and equally dynamic cities, Vietnam is a diverse holiday destination that offers something for everyone. Renowned for its striking coastline, Vietnam is the perfect cruising destination. Cruises to Vietnam offer an exciting fusion of Cantonese and Chinese culture and a dynamic blend of tradition and modernity, ensuring there is something for everyone. Home to breathtaking national parks, cruises to Vietnam are rich in sights, tastes, history and experiences. 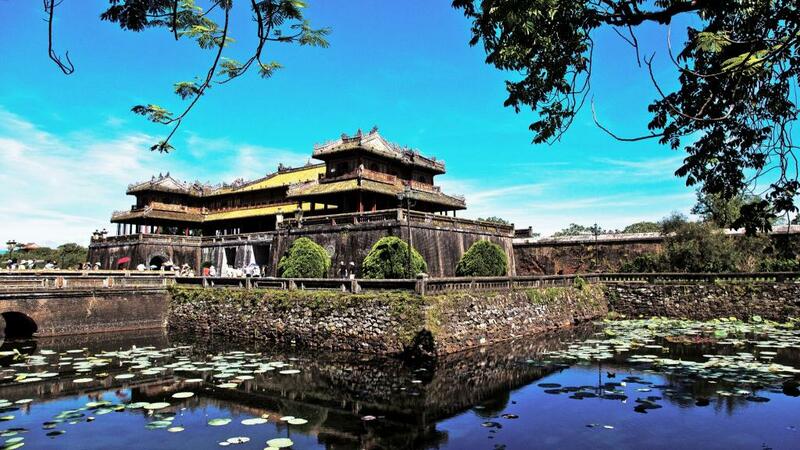 Phu My (pronounced foo me) is the gateway to Ho Chi Minh City and all of Vietnam’s fantastic attractions. The nearby seaside resort of Vung Tau is popular with the cruise crowd thanks to its proximity to the cruise port, however no visit to Vietnam would be complete without a visit to Ho Chi Minh City. Formerly known as Saigon, Ho Chi Minh City allows you to immerse yourself in the unique aromas, colours and sights of Vietnam. Discover the museum and exhibition centre of what was once the Presidential Palace and is now the famous Reunification Hall. For further insight into the local culture and history, the Sea Goddess Temple is an unusual looking and colourful temple featuring ceramic figurines and woodcarvings. A large part of any visit to Vietnam is experiencing the authentic cuisine. With a strong Buddhist influence, Vietnam offers a lot of vegetarian friendly cuisine. With a focus on freshness, Vietnamese food is very light on oil and is almost always served with ‘nuoc mam’, a type of fish sauce. Some of the most popular dishes in Vietnam include fried spring rolls known as cha gio, a salad made from lotus stems called goi ngo sen and pho, a kind of rice noodle soup typically eaten for breakfast. Shopping is another popular pastime in Vietnam, with some exciting shopping experiences on offer in Ho Chi Minh City. Some of the best places to spend your money include Dong Khoi Street, which is a bustling street offering souvenir shops, cafes and fashionable boutiques as well as Ben Thanh Central Market, known for its clothing, shoes, bags and watches. One of the must-do attractions of Vietnam is the Cu Chi Tunnels and no visit here would be complete without experiencing this unique historical attraction. A fascinating network of tunnels that stretched from the capital of south Vietnam all the way to the Cambodian border, this subterranean complex was used by the Viet Cong during the Vietnam War and features 124 tunnels, some of which you can still explore.